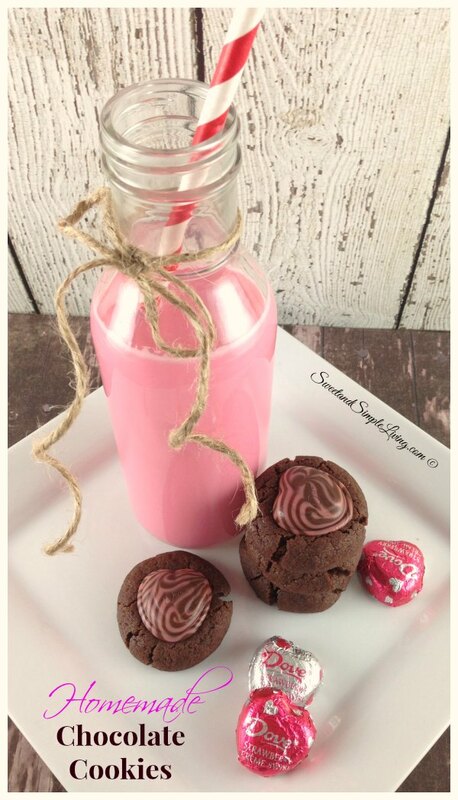 I have the Best Chocolate Cookies: Homemade Recipe! If you have all the ingredients these take no time to whip up. The hardest part is waiting for them to cool in the refrigerator. This recipe is versatile too. 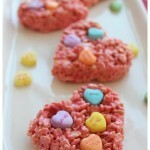 We’ve made them for Valentine’s Day cookies by putting a cute heart shaped chocolate candy on the top. We’ve also made them for Mother’s Day, Father’s Day and even Christmas. 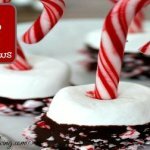 You can change this recipe up any way you want just by adding a different chocolate on top of the cookie. 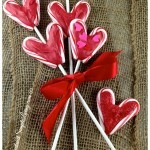 Here we added our favorite Dove Chocolates with milk chocolate and strawberry flavoring. Man, it was good! These were absolutely delicious! 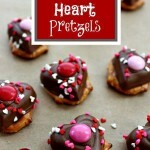 These look especially amazing when you add a different colored chocolate like theses Hugs from Hersheys! Next I want to try a cookie crisp chocolate because I love the crunch from those! Chocolate cookies homemade with Hershey's Hugs, or Dove Chocolates! Combine flour, cocoa, and salt; set aside. With an electric mixer on medium-high speed, beat butter and sugar until light and fluffy, about 2 minutes. Add egg yolk, milk, and vanilla; mix until incorporated. Reduce mixer speed to low and add the flour mixture until just combined. Wrap dough in plastic wrap and refrigerate until firm, 1 hour. Roll chilled dough into 1-inch balls. Place balls about 2 inches apart on a baking sheet. Chill the baking sheet of dough balls in the refrigerator for 10 to 15 minutes. Bake at 350 degrees until set, about 12 minutes. 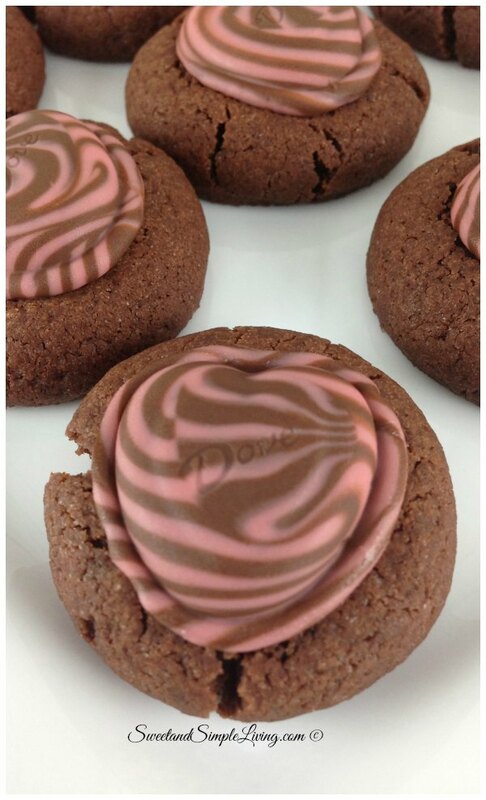 After removing cookies from the oven, immediately place a Hershey Kiss or Dove Chocolates in the center of each cookie. Let cookies cool on the baking sheet for about 3 minutes, remove to a cooling rack to cool. Makes approximately 25 to 30 cookies. We just love how the colors of the Dove chocolates really stand out! Better yet, they were cake like cookies! Light and fluffy but topped with a creamy milk chocolate treat! Perfect combo! We have a couple of tips for you too. Tip #2: You can use the freezer to cool the dough and cut the time in half when making these. Works like a charm! 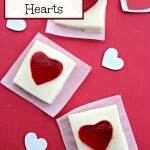 Tip #4: If you are saving them for a party, HIDE them from the kids and the hubby! These will disappear fast! Tip #5: We pressed the chocolate down slightly after it sat on the hot cookie for a bit (30-60 seconds) to get that beautiful rim around the Dove chocolates you see in the photos. 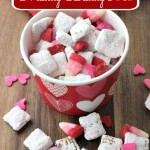 Are you wanting to make some homemade treats for Valentine’s Day? 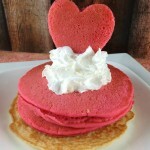 These cookies would be perfect! We also have a super cute Owl Treat Bag (coming soon) you can wrap them in. 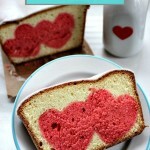 Oh and be sure to check out all of our Valentine’s Day ideas here!